Professor Sudhir Venkatesh is not an ivory tower type. 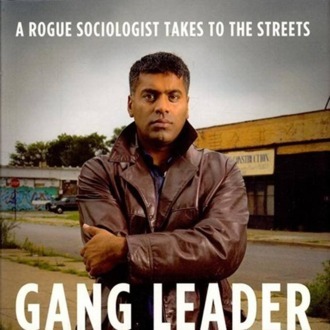 His claim to pop culture fame is the 2008 book Gang Leader for a Day: A Rogue Sociologist Takes to the Streets, which chronicles the time he spent getting to know Chicago’s Black Kings gang in the since-demolished Robert Taylor Homes in Chicago. (As the title suggests, he ceremonially directed the group’s crack-dealing operation for a day.) His work, which was featured in Freakonomics and on The Colbert Report, ultimately got him a job at Columbia University’s Institute for Social and Economic Research and Policy where, as the New York Times’ Ariel Kaminer reports, he apparently engaged in some creative use of his expense account. According to the 24-page internal audit acquired by the paper, the university flagged $241,364 in questionable charges by Venkatesh, including $52,328 paid to an individual without any “documented evidence of work performed,” the cost of a 25-person dinner that only eight people showed up to, and a lot of town car rides. Venkatesh told the paper that he’s paid back $13,000 to Columbia (where he is still employed) so far, but that he “[doesn’t] want to get into these details.” Unfortunately for him, getting into the details is what audits are all about.